China on Monday urged the United States to avoid actions that endanger peace and stability in the Taiwan Strait after two U.S. warships sailed through the waters, a voyage likely seen in self-ruled Taiwan as a sign of Washington's support. [post_ads]U.S. officials said two destroyers carried out the passage over the weekend, calling the maneuver a "routine transit" through international waters. It was the first trip by U.S. Navy ships through the Taiwan Strait in about a year, and comes amid heightened U.S.-China tensions as the world's two biggest economies spar in what could be a prolonged trade dispute. The ships' passage also followed a series of Chinese military drills around the island that have increased friction between Taipei and Beijing. 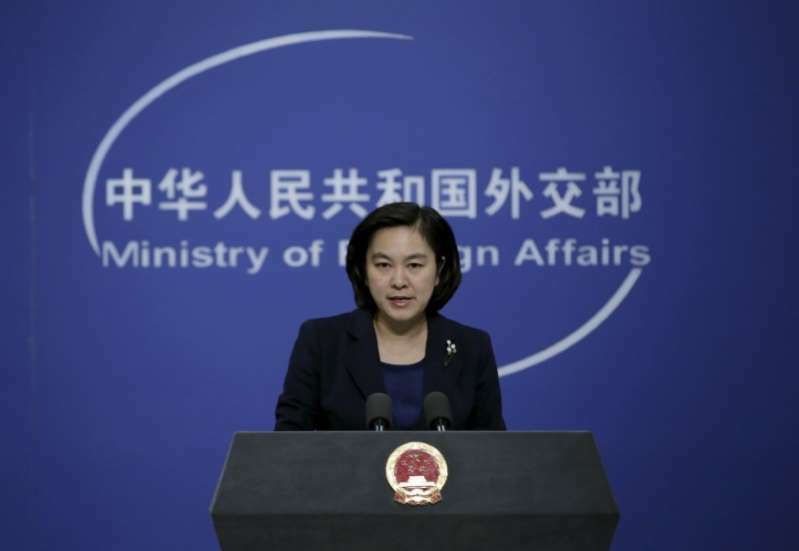 Chinese Foreign Ministry spokeswoman Hua Chunying said China had followed the ships' movements and had "already expressed concerns to the United States over this." "We must state, the Taiwan issue is related to Chinese sovereignty and territorial integrity," Hua told reporters at a regular news briefing in Beijing. "We urge the United States to at once scrupulously abide by the one-China principle...and avoid harming China-U.S. relations and peace and stability in the Taiwan Strait," she added. Taiwan's Defense Ministry said on Saturday the situation was in accordance with regulations. There has been no further comment from Taipei on the passage of the two U.S. warships. China claims Taiwan as its own and has never renounced the use of force to bring under its control what it sees as a wayward province. Beijing regularly says Taiwan is the most sensitive issue in China's relations with the United States. Washington has no formal ties with Taiwan but is the island's main source of arms and is bound by law to help it defend itself. China's hostility toward Taiwan has grown since Tsai Ing-wen from the pro-independence Democratic Progressive Party won presidential elections on the island in 2016.